Best Herschel Backpack Reviews: 5 Top-Rated in April 2019! The Vancouver based Herschel Supply Co. was founded by brothers Jamie Cormack and Lyndon Cormack in 2009. The brothers were motivated to seek out comfortable, utilitarian, and rugged, long-lasting ways for perfect backpack performance and design. While the design is subjective, performance is objective, and the brothers created an extremely efficient and quality proven way, using specific materials and fabrication processes, used in cohesion with fashion architects to create new and interesting lines of backpacks. 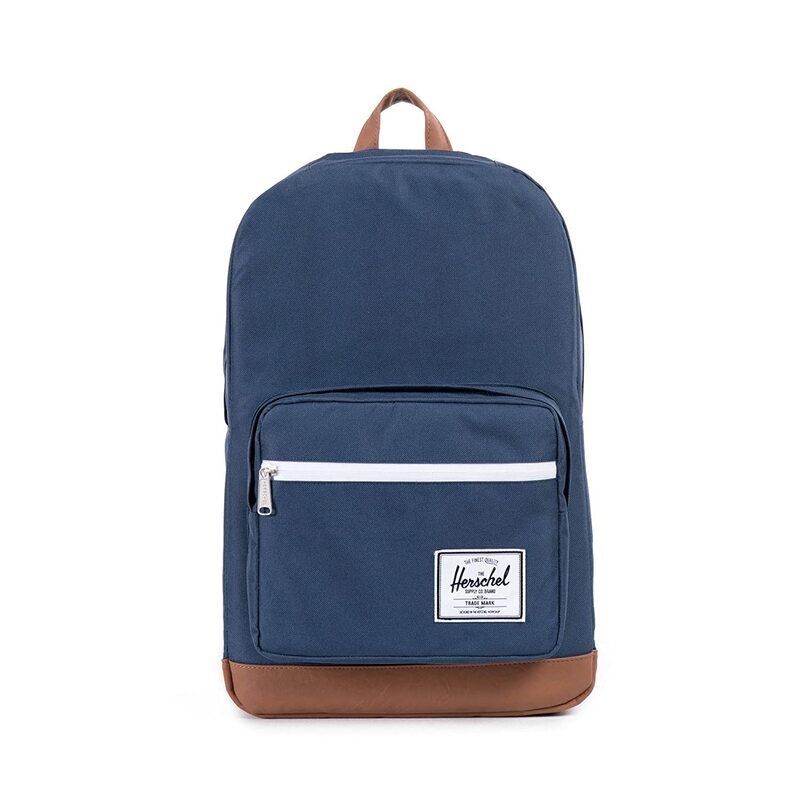 The Herschel Supply Co., lines include the Classics, the Studio Collection, the BHW, and the Kids Collection. The classics design is inspired for the everyday traveler seeking perfect synchronicity between silhouette and accessories. These pieces are created from nostalgic, timeless references that lend to an overall loved look that is reminiscent of distant memories. These bags feature regard to detail with a full array of colors and assorted accessories to make each model a focused classic style. The studio collection is an artistic interpretation of specific elements and environments. Each bag is styled to represent a different culture and language, where design draws inspirations from the colors of life, and the meaning is translated into a comfortable yet versatile backpack silhouette. This is the collection for the eclectic and unconventional traveler. The Bad Hills Workshop is a meeting point between old and new, classic and abstract, where ideas are as vivid and far-fetched as the imagination allows fly. These designs reflect the innovative and progressive styles brought out into thoughtfully designed silhouettes while maintaining their ruggedness and utilitarian focus that backpacks must provide. Kids are little adults, or perhaps adults are just big kids, whatever happens in life, kids are a major player in the backpack scene. They go to school go on trips, carry their “stuff” and just enjoy a good-looking backpack. The Herschel Supply Co. recognizes that good fashion sense starts early in life and for this, a special collection of useful backpacks for kids has been developed for their demanding everyday use. The Parker Update is a slim, stylish and everyday backpack. This model features a front storage pocket that includes a diagonal waterproof zipper. The updated Parker backpack holds 19L of volume and is 17.5”(H) x 11”(W) x 5.5”(D). The material used in its fabrication includes a signature striped fabric liner, and there is a 15″ laptop sleeve for holding laptops and pads. The front storage sleeve comes with a waterproof zipper to sustain the integrity of the contents of your backpack in the worst of weather conditions. As with all Herschel Supply products, you get a Branded woven label for that to stand out the brand. An exceptionally tidy and compact bag, great for students and freelancers that don’t seek a large load for everyday use. 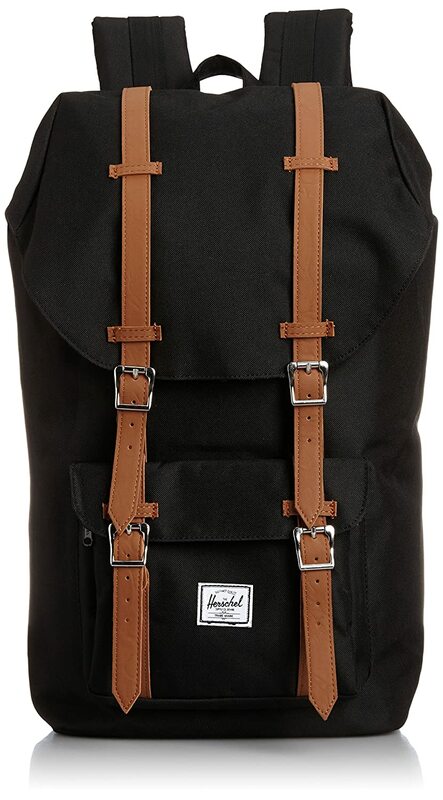 The Herschel Retreat™ gives you the timeless rendition of a streamlined mountaineering style backpack. This model comes with a drawcord cinch closure and delightfully designed detailed top flap with strap. The Retreat holds 19.5L volume and is 17″(H) x 12″(W) x 5.75″(D). This model comes with the Herschel signature striped fabric liner, to assure extra safety for your laptop or pad, the 15” laptop sleeve has a padded fleece lining. The Retreat comes with an Adjustable drawstring for closing for extra security of content, and there are Magnet and metal pin clip strap closures to secure all components. This model also gives you an external storage sleeve and an internal media pocket that comes with a convenient headphone port. To support this lovely item on your back, or across your shoulder are contoured shoulder straps for added comfort. The bag includes the Branded woven label. 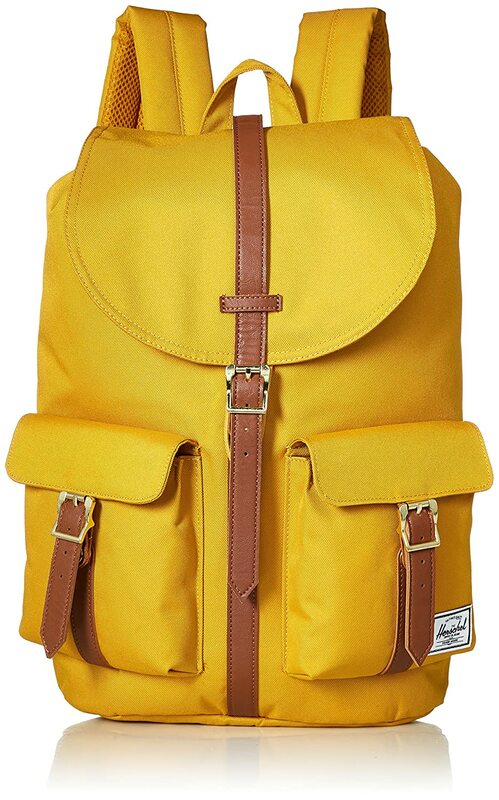 If you seek that daring look, that mountaineering free living style, then this lovely little backpack is perfect for you. This model comes with a 19.5L volume, so it’s not too small, but not overly bulky. The Dawson backpack is a mid-range sized exploration style bag that comes with a hidden drawcord cinch closure and delivers additional storage with style in the form of distinctive strap details. The Dawson is a 20.5L volume backpack with 17.5″(H) x 11.25″(W) x 6″(D). As with all Herschel Supply Co., packs it comes with their signature striped fabric lining. This model comes with a 13″ laptop sleeve and an array of external storage compartments. There is a nice and effortless adjustable drawcord closure, as well as magnetic strap closures that come with metal pin clips. This pack includes a reinforced base that will let you sling the pack onto any surface, just don’t get too boisterous with the slinging, and it comes with a classic branded woven label. Sometimes it’s hard to find a great exploitation backpack; you can wear this one with ease when you cycle, bike, 4X4, and just hike. Or, you can enjoy the wilds of the city and office life with the rugged durability of a classily designed backpack that will stand out among the rest. The Herschel Pop Quiz™ backpack is a Kids backpack designed for rugged school use, and every day use and abuse. This model comes with a versatile range of storage pockets and organizers to help your child prepare for the day. The Pop Quiz is a 22L backpack, big enough to carry all the school requirements and more. It is 17.5″(H) x 11.75″(W) x 6″(D) and comes with a specially secured 15” laptop sleep that is both padded and fleece lined. This model comes with all waterproof zippers, and the internal liver is the classic custom stripe fabric of all their bags. To add some extras on this school day bipack, Herschel Supply Co, included an Internal media pocket including headphone port, a fleece lined sunglasses compartment, and a substantial front pocket with internal organizers and key clip, as well as the Branded woven label. This is one bag that will give your child that fashionable and utilitarian advantage over all others. There isn’t a better way to send your children to school than with a confident backpack that empowers them even before they step into the classroom. This is the ultimate in school backpack experiences. the Herschel Little America™ uses its classic mountaineering silhouette that elevates this iconic style with added features and modern functionality. The Little America is an amazing large 25L backpack that is 19.5″(H) x 11.25″(W) x 7″(D). This gorgeously designed, reminiscent mountaineering style backpack comes with the Custom striped internal fabric lining and includes a 15” laptop sleeve that is padded and fleece lined. To secure this backpack, there is an Adjustable drawstring for closing that is complimented with a set of Magnet and metal pin clip strap closures. This model comes with a front pocket that includes a nicely hidden zipper and convenient key clip. There is also an internal media pocket that features a useful headphone port. To secure this backpack with its full load, you get comfortable contoured shoulder straps, and the back of the backpack features an air mesh padding. Yes, I didn’t forget the Branded woven label. It’s large, it’s convenient, it’s strong and it’s exceptionally beautiful for all standards. This is one of the most sought-after backpacks around, and when you have one, you won’t want any other again. There are few and far between designer companies that specialize in really distinguishable backpacks. 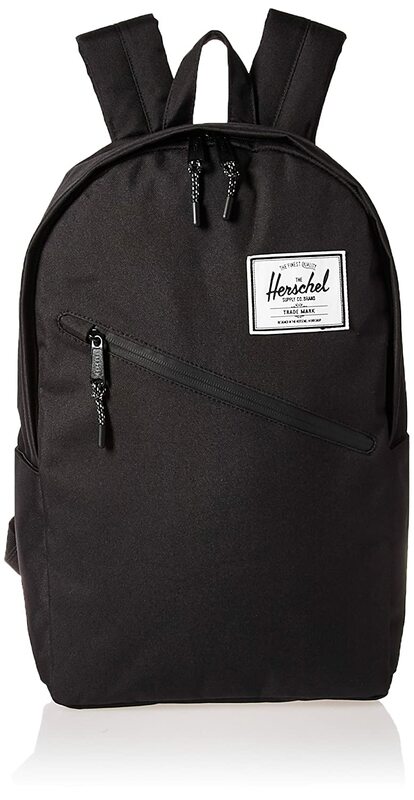 One of the leaders in this fashion industry is the Vancouver based Herschel Company, and believe you me, they deliver top quality, with top performance and with top reliability. 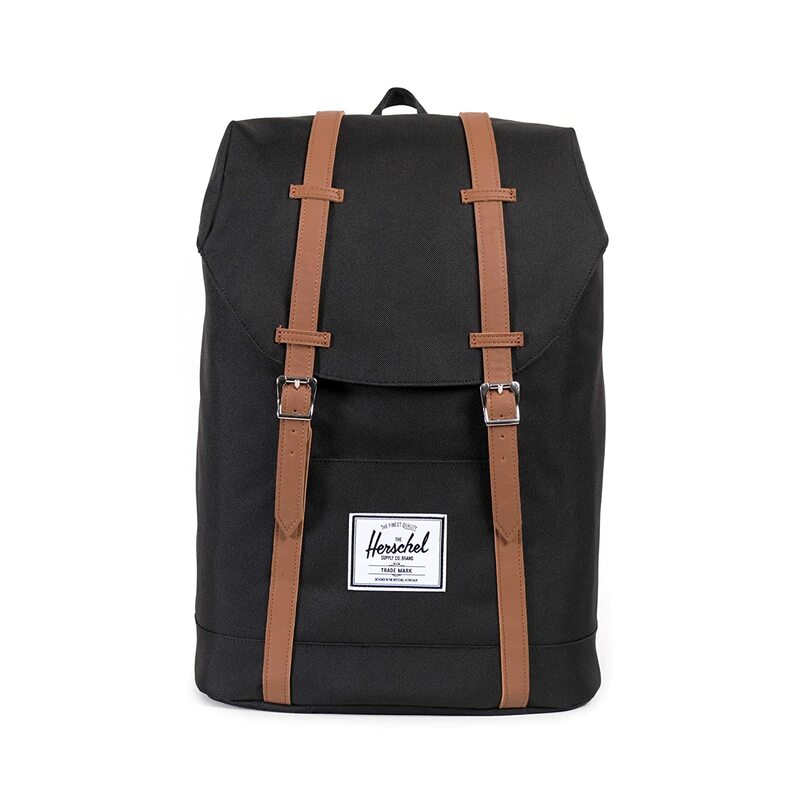 It really doesn’t get much better than a Herschel Supply Co., backpack.